I love the use of rustic pieces even in a refined space. It loosens it up a little, while adding another layer of interest. In an entryway, a rustic seating element can send the message that you want your guests to relax and enjoy! There's a lot to like in this entryway! 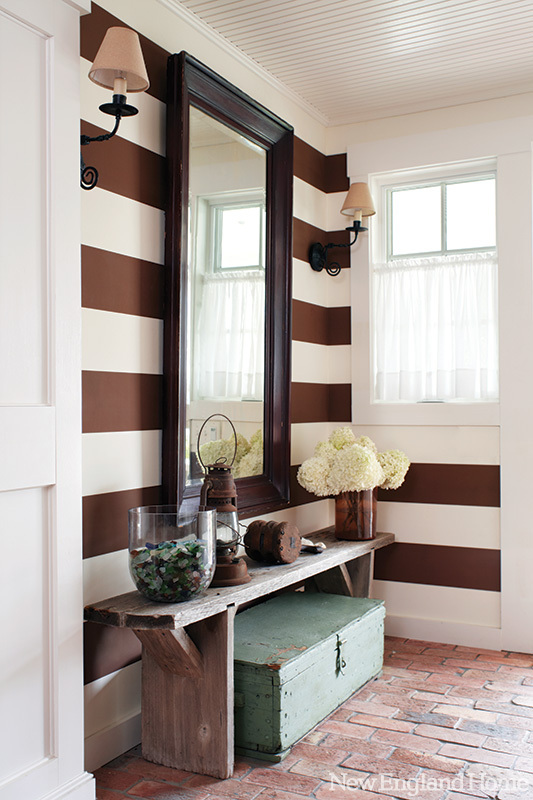 The horizontal stripes are unexpected and a very chic brown and white. A big mirror is a wonderful element in any entryway, and adds refinement to offset the rustic bench and vintage trunk. By all mean, decorate the top of the bench, but leave some space to be able to use it as a bench! 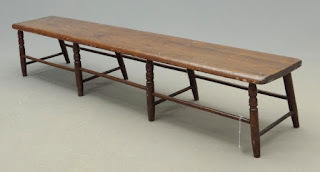 In my home, the rustic bench is a place for us to sit down to put on boots, or take off muddy shoes. It's also the place we leave our mail and keys!It's also a place for more obelisks! Copake Auction in Copake, NY is a great source of inexpensive antique and vintage rustic furniture. 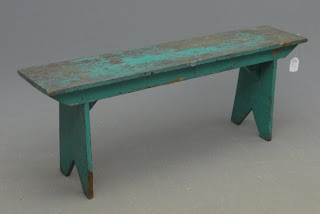 This 19th century bootjack bench (50 inches long) is that much more interesting because of the remaining blue paint. This sold for $100 off an auction estimate of $50 - $75. 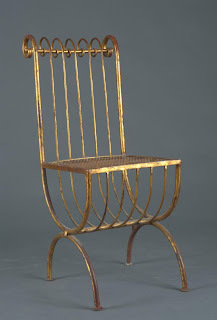 This would fit in most entryways perfectly. 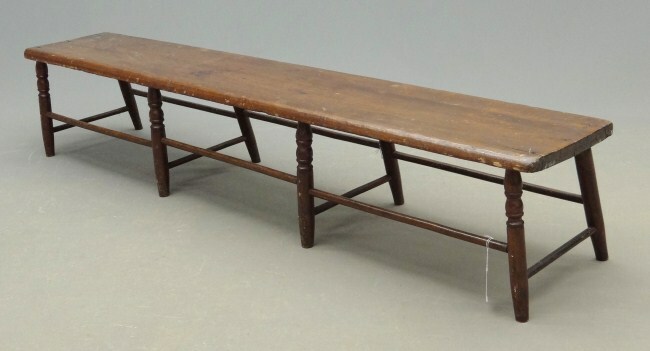 For something a little less rustic try this 19th century bench. It's 72 inches long and has simple turned legs. It sold for $135 off an auction estimate of $25 - $50. This trunk is fabulous. It's 19th century and still has a lot of its blue paint. 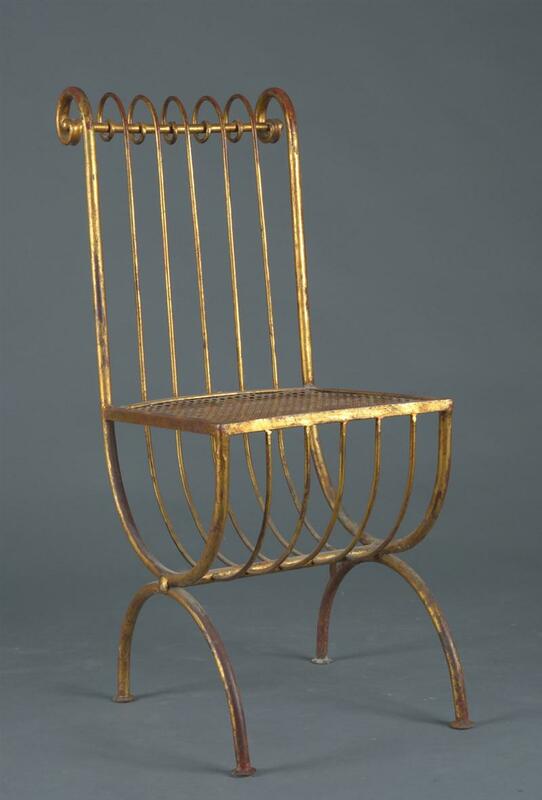 It also has wonderful brass straps that add some refinement to this rustic piece. This sold for $125 off an estimate of $50 - $100. 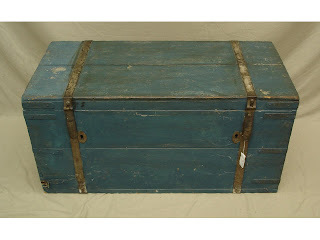 In a smaller entryway, this could be a bench, and a great place to add decoration. 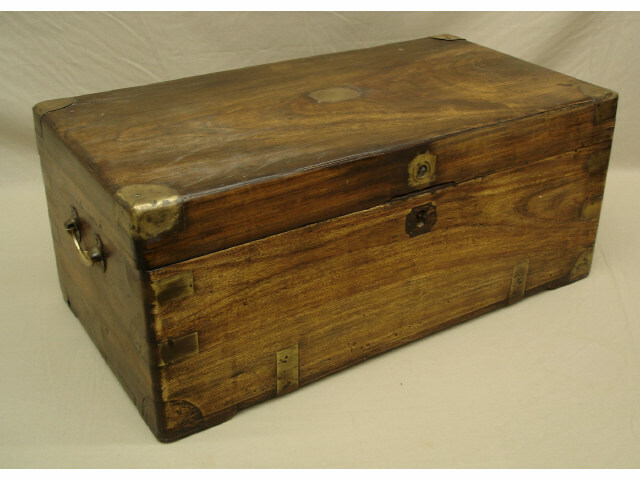 This 19th century campaign chest has handsome brass details, and the wood has a wonderful patina. This sold for $95 off an estimate of $100 - $150. In any room, I like the mix of refined and rustic. Each makes the other look better! If you use a rustic bench, make sure you add a great mirror or lighting. In an entryway, make your guests feel welcome and relaxed. A bit of rustic will do the trick! Build a modern living room - start with the sofa!